Every post on Blog4Change.org should inspire others to do something to help their neighbors: a stranger, a pet, the environment, anyone. Positive posts that meet these standards will be published for the world to see. If you have ideas, or have had experiences that exemplify how to create a better world, then your posts are welcome here. Our hypothesis is that by helping others and spreading goodness, you will become happier and live a more fulfilling life. The more you post and comment, the better you will feel about yourself and the world you live in. 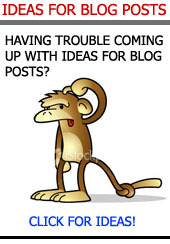 The premise of Blog4Change.org is to provide everyone who wants to make a difference with a free blogging platform. We want you to share ideas, experiences, and concrete instruction for making positive changes in the world around you. Start Your Free Blog Now! We all know that worrying never solved a problem, and never made us feel better. Worrying simply doesn't work. But approaching life from a calmness, centeredness and kindness to ourselves always does. You deserve a life without the pain of worrying so I hope you will love yourself by giving this little practice a try. I believe that you will be thrilled by the results! This is what I wrote to my friend, who lost her beloved dog named Prem (the Sanskrit word for love). It's Ok to Want What I Want! ...Interestingly, a lot of life is this way. We think things are going pretty well for us until we start noticing how they aren’t. A lover is nearly perfect until we start focusing on those one or two small things that aren’t perfect. And the more attention we give to those things, the more of those things we see. Giving; One day at a time. The more I talk, the more I am spoken to. They offered cheers and tears. They formed a line when I finished, to hug, to congratulate, to share their stories, it was really moving. I want to help you wake up and realize that your self-criticism is undeserved. The truth about you is that you are a unique masterpiece -- fully worthy, fully valid, fully lovable. You do NOT need to change who you are -- you need to open your heart to yourself and affirm your essential beauty and rightness. When you finally end the self-doubt and self-criticism, and see yourself with the eyes of love -- your spirit will be free forever. What does education mean to you? I came across this topic a while ago in one of my classes. It's about education. Does education hold an intrinsic or instrumental value for you? I have discovered that a life of deep inner peace, daily happiness and inspiring love are possible on Earth and achievable in this lifetime. The Promised Land is real, and possible for you to reach. It’s Monday, what’s not wrong? Meet yourself on this Monday. Just take a moment and listen to the outer and inner make-up of this day. Really be open to objectively examining it. Then ask yourself this question: what’s not wrong? Everything Happens For A Reason; This Too Shall Pass, & Other Cliches That Happen To Be True. Choosing the right path & learning from those who try to bring you down. Greetings after a month of no posts. There is a silver lining in every storm. What happened in Haiti, has touched the heart of many, images still haunt our minds, but here is a story where a child's life has been saved due to the devastating earthquake. Kindness needs to be expressed daily, just as we brush our teeth each morning, we need to express one act of kindness each day. My take on an old saying. What To Do, What To Do? 3 Simple Tips for Easy Decision Making! Got a tough decision to make? Maybe you’ve been mulling one around all afternoon, making lists of the pro’s and con’s, rating things by priority and even consulting friends, only to continue feeling confused as to how to proceed. Here’s a few tricks to help you get in touch with what you really want, making the best decision for you. If you know it's true, then why do you not agree with it? Change... Sometimes It Hurts So Good! I'm realizing that change is a little like running. It's not something I always want to do, and it doesn't always feel good while I'm doing it, but the rewards are so sweet sometimes! I Am What I Believe... and So Are You. When I believe I am strong, I can move mountains. When I believe I am weak, the weight of the world crushes me. JK Rowling talks about her failure and how it has been the basis of her success. I feel so blessed to live in country where I am free to write this email, discussing any topic or opinion I choose, and where you are also free to either read it or throw it away. I am sooo motivated today, and wanted to share it with you! I hope you find some inspiration... enjoy. I Am Where I Am, and That's Ok! Life is a journey, and wherever you are right now is just fine. Remembering the simple pleasures in life. The language of healing is a positive healing modality. Through positive affirmations and intentions we create a profound effect on healing ourselves, thus healing mother earth. Also, for those who do healing work, it is a way of assisting others to heal in a positive way. This is a re-post, I posted this last year, right before the start of summer, with the hopes of readers acknowledging the importance and maybe saving an animals life. I had found the healing power that was deeper than the disease -- the place that miracles come from. And the core of that power was love. Unconditionally loving myself was the exact opposite of the self-hatred and rejection that had fueled my auto-immunity. Love made my spirit want to live and love brought my body back to life. You’ve started this journey. You’ve worked every day to let go of the old stuff, the negative thoughts and unhealthy behaviors, you’re changing bad patterns and using affirmations every day. So how come you’re still not happy?